This movie is simply immortal classic. 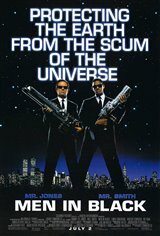 Original idea about aliens on the Earth who pretend to be people including various celebrities, politicians etc., a lot of funny moments and the most iconic role of Will Smith. I loved it as a kid and I still love it. It was a good movie. I would watch it again.